"Very good place to unwind on arrival." Have a question for Comilla Bungalow? "Only a few rooms which are spacious and clean, a nice pool deck surrounded by trees." 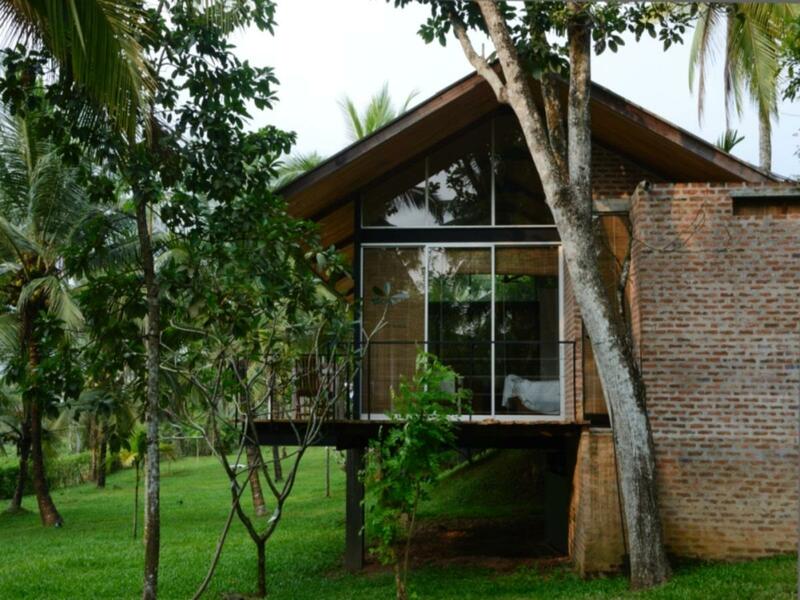 "The staff is incredibly welcoming and helpful and can't do e..."
Renovated in 2011, the Comilla Bungalow guarantees guests a pleasant stay whether in Dompe for business or pleasure. The hotel is not too far from the city center: just 35.00 Km away, and it normally takes about 40 minutes to reach the airport. With its convenient location, the hotel offers easy access to the city's must-see destinations. Comilla Bungalow offers impeccable service and all the essential amenities to invigorate travelers. 24-hour room service, free Wi-Fi in all rooms, facilities for disabled guests, Wi-Fi in public areas, car park are just a few of the facilities that set Comilla Bungalow apart from other hotels in the city. Comilla Bungalow is home to 3 bedrooms. All are tastefully furnished and many even provide such comforts as television LCD/plasma screen, internet access – wireless, internet access – wireless (complimentary), air conditioning, desk. The hotel offers wonderful recreational facilities such as outdoor pool, pool (kids), garden, games room to make your stay truly unforgettable. Enjoy unparalleled services and a truly prestigious address at the Comilla Bungalow. "Very rural, lovely garden full of birds and mature trees." Very good place to unwind on arrival. Very rural, lovely garden full of birds and mature trees. The staff is incredibly welcoming and helpful and can't do enough to ensure a pleasant stay. Only a few rooms which are spacious and clean, a nice pool deck surrounded by trees. It is set in the countryside so not for people who want access to town and bars. Perfect for us. This was our second stay at Comilla Bungalow in less than a year. We returned because of Comilla's quite tucked away location. It's a great place to relax after a long plane flight and a hectic year. The food is fantastic. The staff discrete and well trained, and the property well appointed. The owner obviously takes a lot of pride in the comfort and standard of the property. It's been beautifully and tastefully decorated. We though the property had been well maintained, and improved upon from our previous visit. A quality that isn't always apparent on our return visits to Sri Lankan hotels. I would recommend this property to couples, families (although small children will need supervision around the pool and garden). This is my 12 visit to Sri Lanka, and I will definitely be returning to Comilla Bungalow. A beautiful hotel in beautiful surroundings. 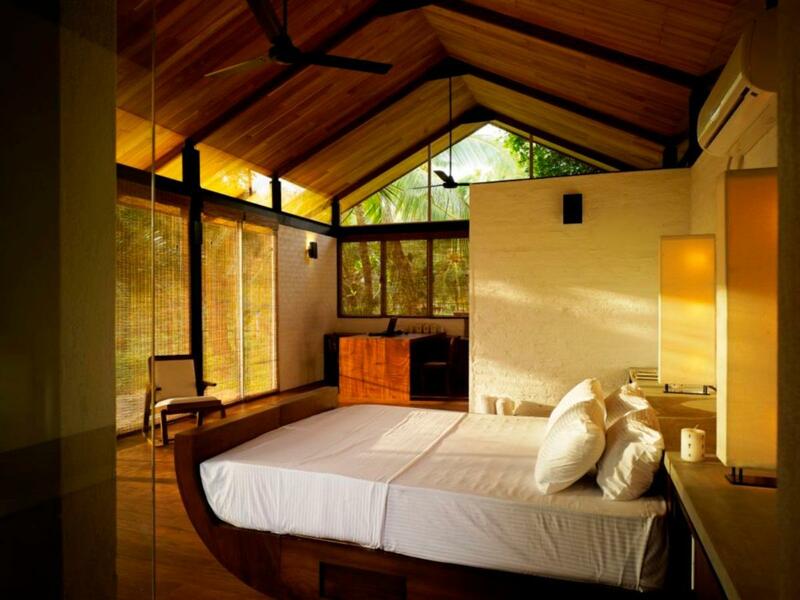 Comilla bungalow is the perfect place to relax. It is situated near to Colombo city but nestled in the heart of the woods. The staff were so friendly and helpful and the food was delicious. The bedrooms were beautifully decorated and the infinity pool really was a treat. We went as a group of 3 and thoroughly enjoyed our time there. I would definitely recommend this hotel to anyone. If you are after peace and relaxation and perhaps something romantic, in gorgeous surroundings then this is your place. it is only new. And is set in - an hours drive outside of Columbo and well worth the trip. Upon arrival we were warmly greeted by the very attentive Mr Martin who is a great cook. The rooms are gorgeous with extra large beds and well styled. Our room opened up with large doors out to the gorgeous gardens. It was like a home away from home. Their are lots of nice touches to make you feel comfortable, magazines, books, candles, a dvd library with dvd machines in the room and a gorgeous infinity pool. My only complaint is the internet connection wasn't very good however it was kinda nice just enjoying the natural surrounds. We are from Australia and have travelled lots, Trust me, you won't be disappointed. This was a perfect place to stay after our long-haul flight from London. We were able to rest and relax prior to continuing our travel arrangements. The owners were exceptionally attentive, as were the staff, and they all made my husband's birthday a celebration to remember. How suspicious it was? How could he sneaked into my room when we are still eating breakfast and without asking our permission to go into the room? We complain to the owner but the owner didn't believed what we witnessed. We are totally disappointed and angry with them. 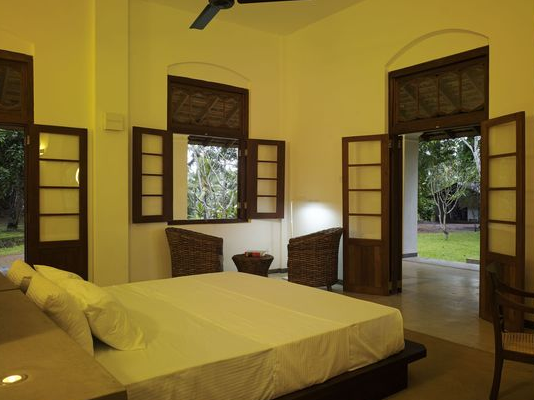 Stunning accommodation, fine Sri Lankan food, peaceful gardens. The restoration of this historic home is sensitive but thoroughly up-to-the-minute. The bedrooms and bathrooms are palatial. The surrounding gardens are just what I had in mind about Sri Lanka of-old. The pool was just lovely. A lady from the village came and made our breakfast - the yummiest in our whole trip. The driver from the airport was courteous (and the daughter of the owners came to meet us too, which was reassuring). They arranged a three-wheeler for us the next day to the train station, no problem. This hotel is small and elegant yet delivers on performance and can stand up to any giant 5 star chain. The staff couldn't do enough for us, the grounds are kept immaculate, the food is cooked by an on site lady chef and is delicious. It has lots of Bawa elements to it, our bedroom had an open air shower (its still private though) which added to the Bawa philosophy of being at one within nature. I wish the owners the best of luck because they've really created something stylish, comfortable, private and of a 5 star standard. Loved this place, we stayed only one night and my only regret was we didn't have a longer stay. Will definitely be going back! Super begin van de vakantie! We waren als gezin de enige gasten en de gastvrijheid was super. Een perfect begin van de vakantie. Heel erg rustig met een geweldige gastvrijheid. Vooral ook het eten was heerlijk.